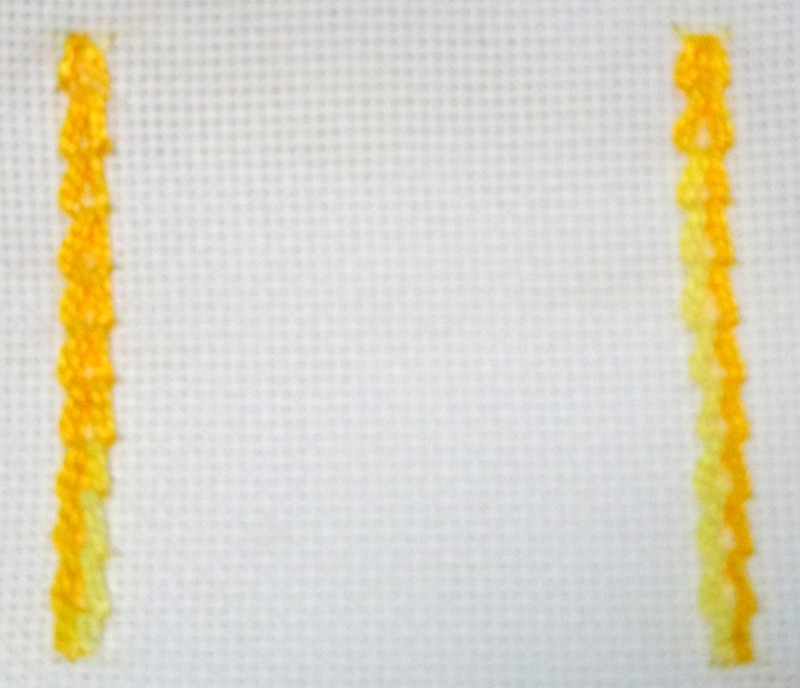 The 3rd week of November the Take A Stitch Tuesday stitch was the Portuguese Border Stitch. This was an interesting stitch which involved 3 steps. The base, the first side and the second side. 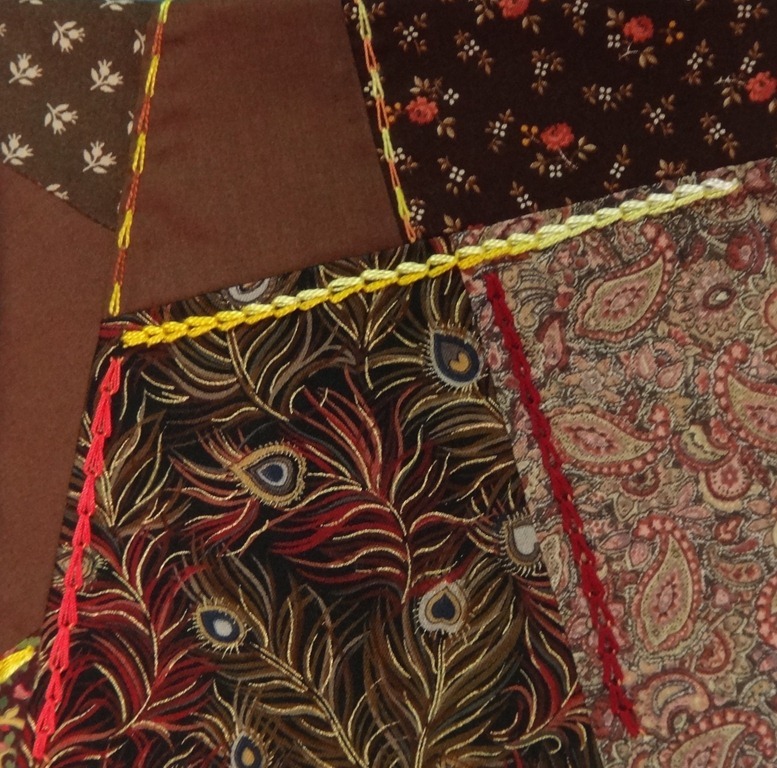 On the 3rd quarter of my November Crazy Quilt Journal Project I used the Portuguese Border Stitch in several different colors. 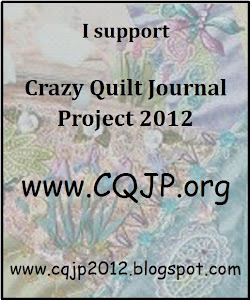 This entry was posted in CQJP, November, Portuguese Border stitch, TAST. Bookmark the permalink. It IS an enjoyable stitch, isn’t it?